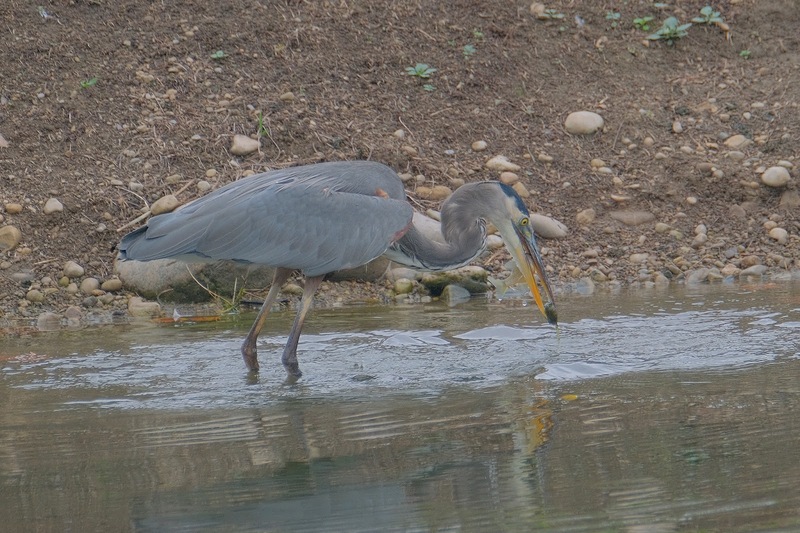 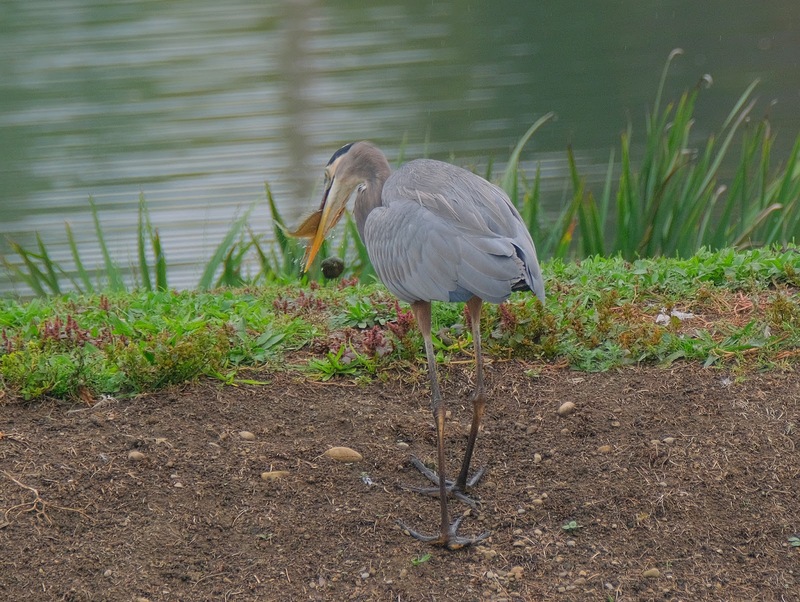 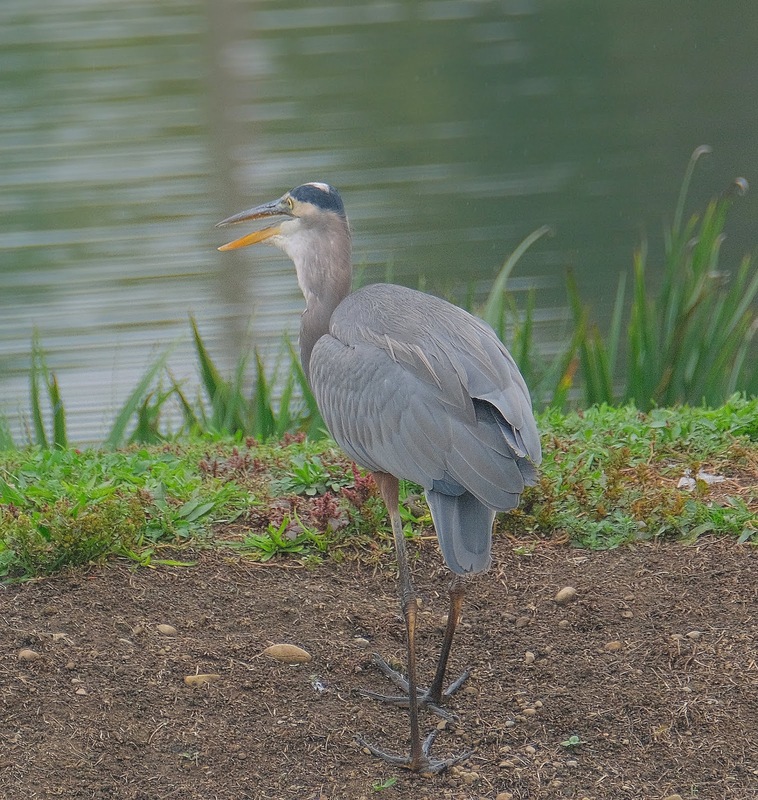 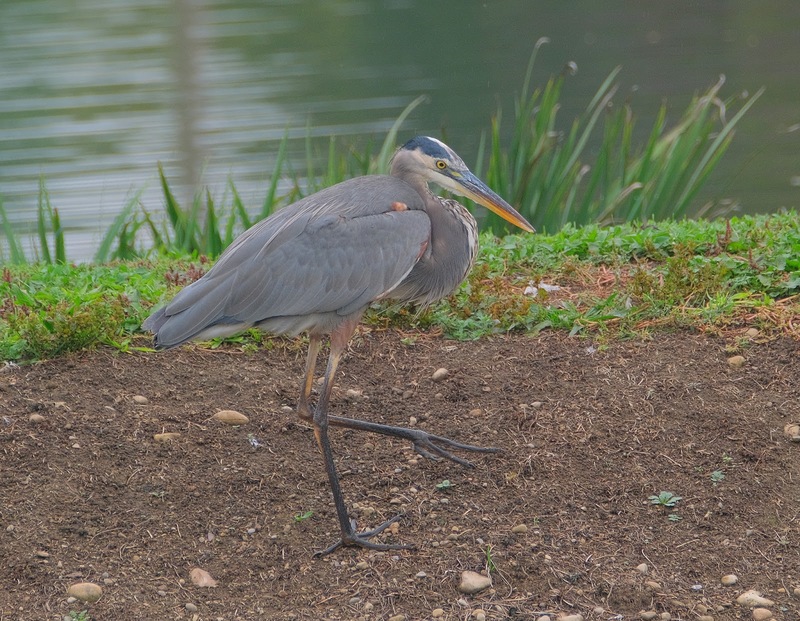 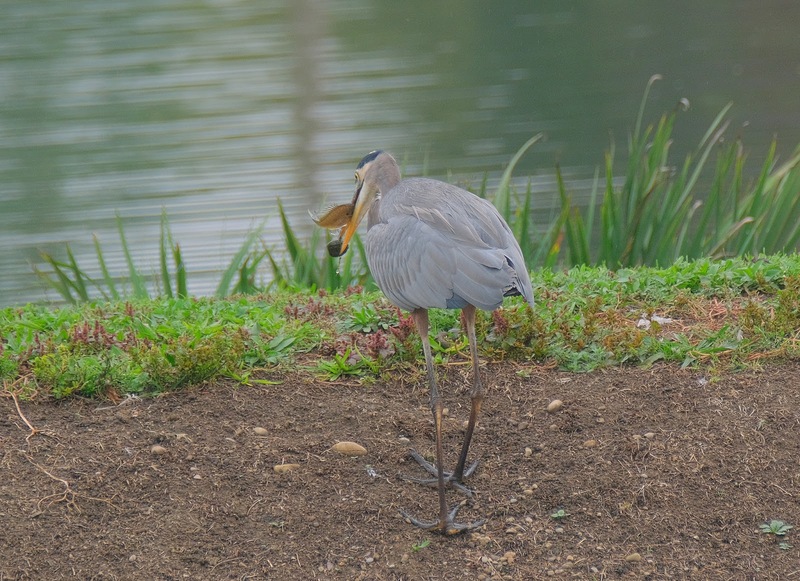 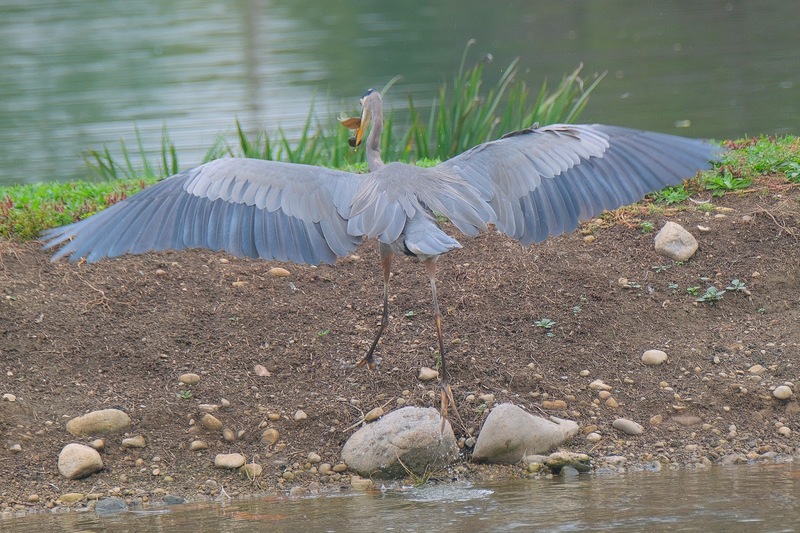 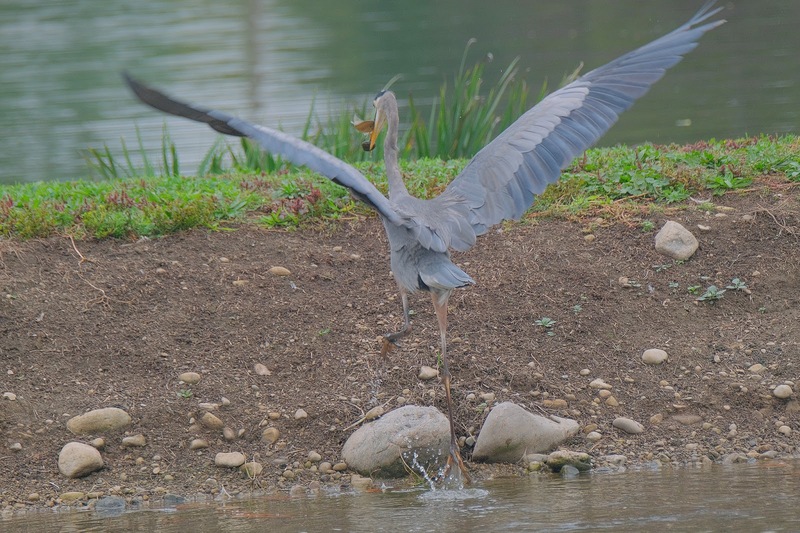 Nature Photography by David and Terri Norris: Great Blue Heron with More Than He Could Handle! Great Blue Heron with More Than He Could Handle! I was watching this Great Blue Heron fish today and was surprised to see him dive, then run up to the top of the ridge. 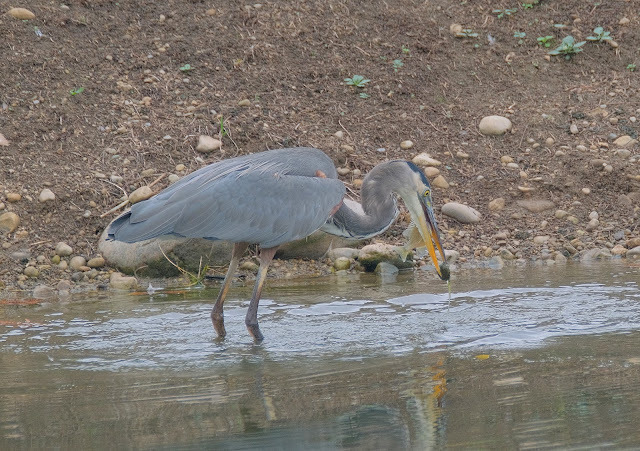 Later, while checking my pics, I saw that he actually grabbed a rock and a fish. 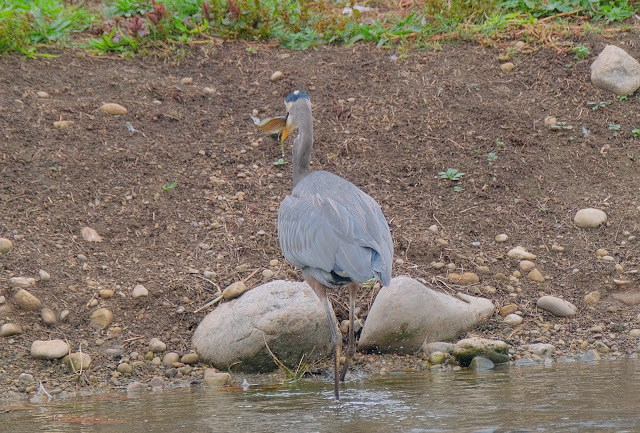 He apparently realized that if he dropped the rock, he's lose the fish too, so he went to higher ground to keep his catch. Clever boy!! !